More than 3,000 studies now confirm the potentially beneficial effect of religion on health. Learn more about these important findings from Uday Jani, MD, who will explore how connecting the spiritual with the physical, social, cultural and psychological is integral to treating the whole patient. (H) Where do you find comfort or hope in time of illness? When things are tough, what keeps you going? (O) Does organized religion have a place in your life, or in your family’s life? (P) Are there spiritual practices or beliefs that are important to you personally? (E) Are there ways that your personal beliefs affect your health care choices or might provide guidance as we discuss decisions about your care near the end of your life? Join Dr. Jani for an inspiring discussion this Thursday at St. Peter’s Church…all are welcome. 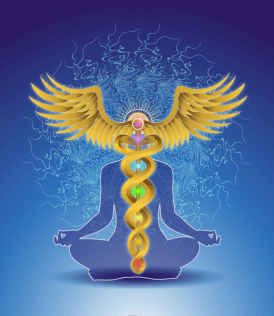 Reclaiming Medicine’s Spiritual Roots: Uday Jani, MD, explores spiritual side of healthcare Healing and Spirituality Series Uday Jani, MD Shares the Benefits of Concierge Medicine on Radio Health Journal Dr. Uday Jani is in the news!